Welcome to About A Bride Plus Size Milton Keynes. The long Established Plus size Wedding Dress experts for the curvier Bride. 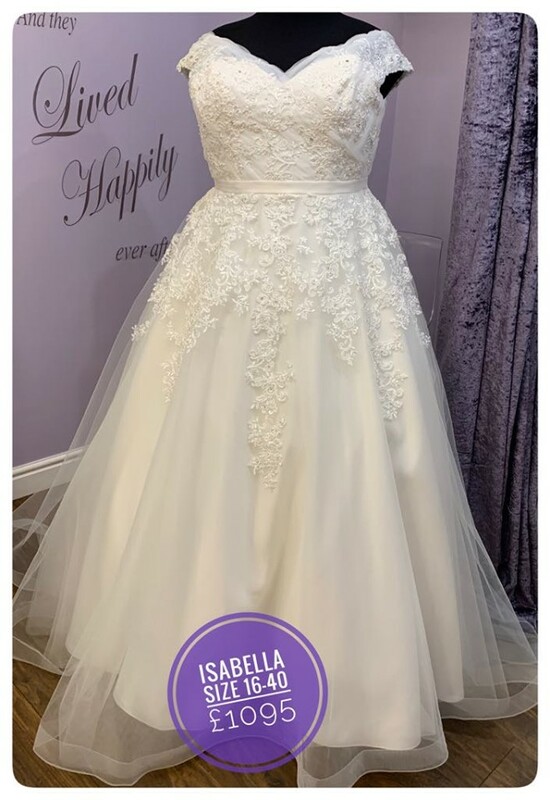 We have over 140 Beautiful Gowns for you to try all in larger sizes. Our average size to try is size 28, and we have up to size 44 on our rails. From full on sparkly Ball Gown, to curve showing fitted. Our prices are good too Wedding dresses from £300 -£1650. With £895 being our most popular price range on ordered in gowns. You can buy and take away on the day. As members of the Bridal Retailer Group UK & Ireland. All Wedding dress purchases receive free Wedding insurance, for peace of mind. 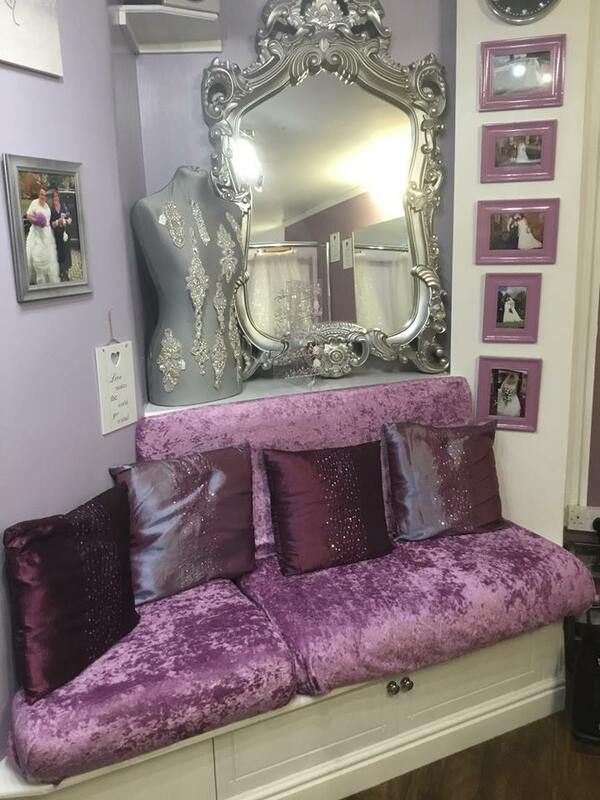 We only see one Bride at a time, just you and your guests in your own private room. We love helping you, but if you prefer to dress yourself, and just have us do you up that is fine by us. We want you to enjoy the whole experience, it's not everyday you are looking for the dress you have dreamed of. Any special requirements please let us know in advance. 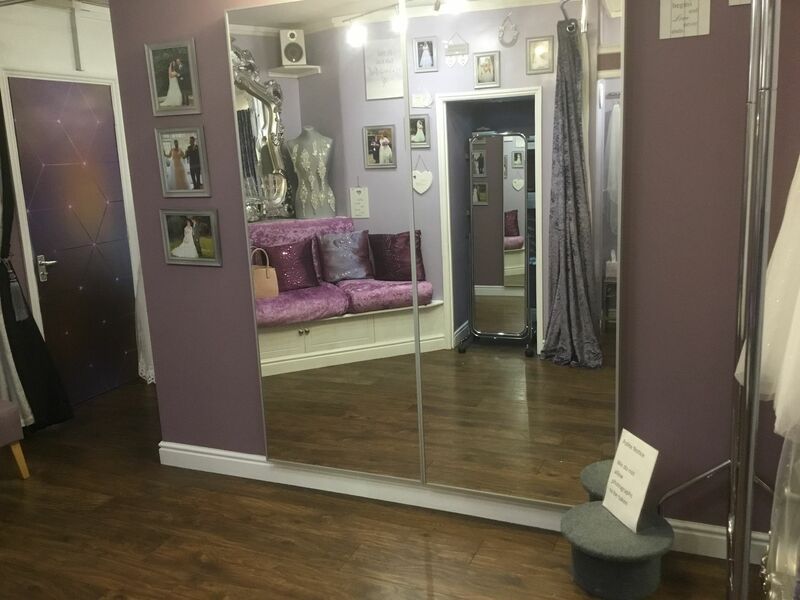 Large mirrors so you can see every part of your dress. And floor space so you can see your choice in all it's Glory. We can seat up to four guests, anymore and it's a bit of a squash. Our Plus Size Brides visit from all over Britain including- Birmingham, Wiltshire, Yorkshire, Peterborough, Cambridge Newcastle, Hertford, St Albans, Rushton,Berkshire, Hampshire, London, Bedford, Northampton, Oxford, Essex, Leeds, Manchester,Bristol, Devon, Newcastle, Wolverhampton, Cumbria, Surrey, Scotland, Wales & even Guernsey! 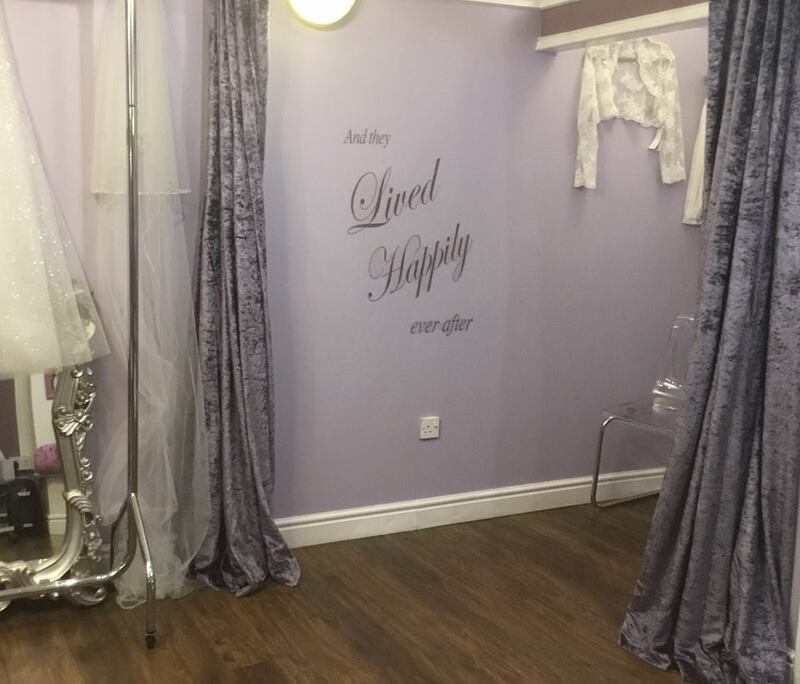 It's well worth the journey to find your plus size Wedding Dress at About A Bride the plus size bridal shop.